I’m a firm believer in looking forward. That’s the direction you’re headed so there’s no need to spend time looking back on past mistakes, regrets, and circumstances. However, every now and again, it’s wise to look back and remember the adventures you’ve enjoyed, the challenging moments, and the faithfulness of God. Please note that this is my highlight reel from the year so, don’t go thinking that my life is perfect and that I never have bad days. I do have bad days, but no one wants to see a picture of me sobbing (because it’s NOT a pretty sight) and I choose to focus on the positive. I find it’s much easier to navigate life if I focus on the good, and leave the not-so-good in God’s hands. So, let’s get started with January. I am super blessed to have some of my grandkids living very close by (and others not so far that I can’t see them pretty regularly). 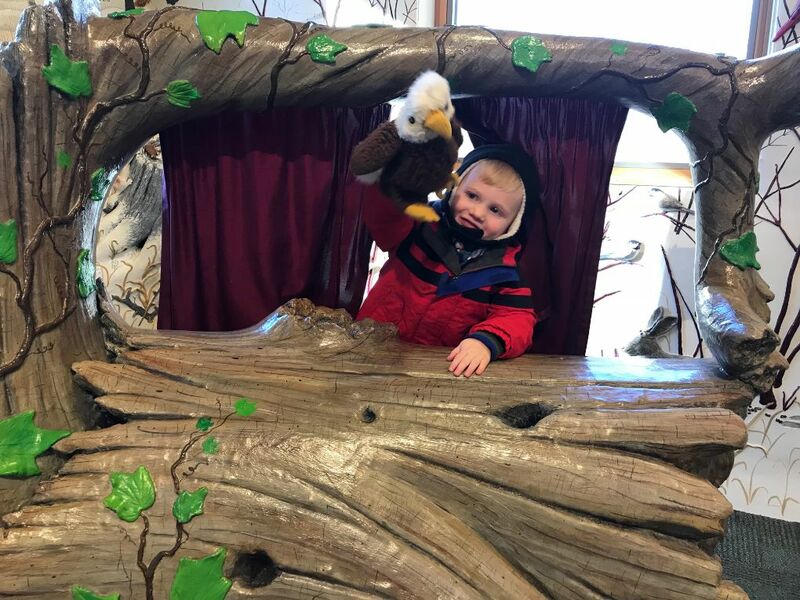 Every now and again I get a chance to spend time with them one on one, and in January I took our sweet grandson to a puppet show at a nature preserve in the Twin Cities area. Afterwards, there was a play area where he could play with some of the puppets, so even though we were all dressed to go outside, we stopped so he could “put on a show” for me. I made six trips to California this year to see my mom but the one I took in February had a few extra twists and turns. 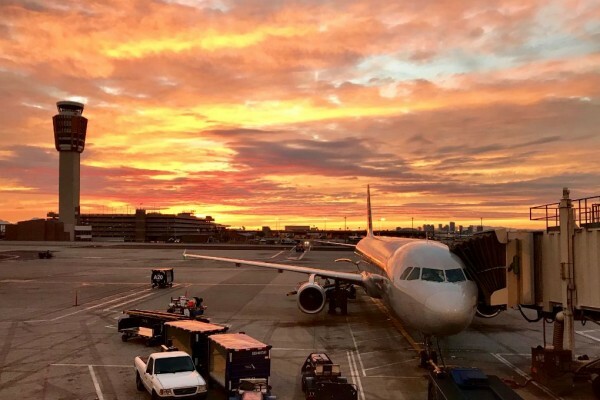 A delayed plane meant I missed my connecting flight out of Phoenix so I ended up spending the night and getting a flight out the next day. Before I left for my hotel, God painted the sky up extra special so I could catch a glimpse of his glory. He knows how much I love a good sunset. With Easter being on April 1, we had our family here over the last weekend of March. I had put together some kid friendly “minute-to-win-it” games to add to the festivities. 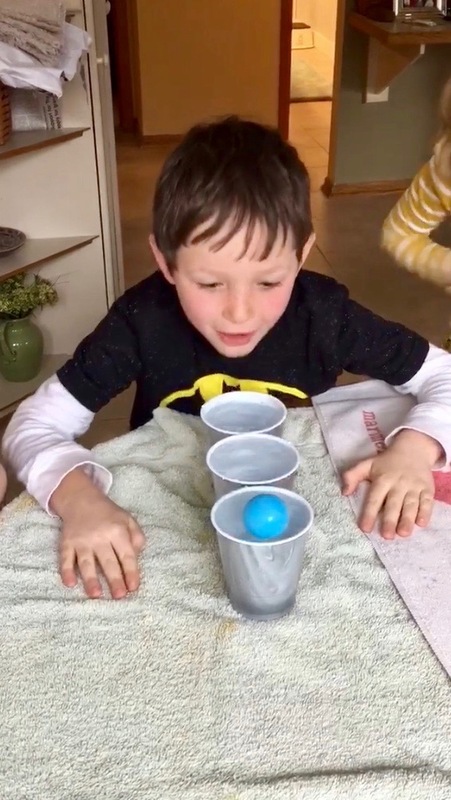 One of them involved moving a ping-pong ball from one cup to the next by blowing on it. It sounds easy, but trust me, it’s not. I almost hyperventilated when i tried it. Our oldest grandson got discouraged and quit, saying, “it’s too hard.” I reminded him that he could do hard things so he decided to give it another try. He blew and blew until the ball suddenly bounced across the cups. The look on his face was priceless, a combination of amazement and sheer joy at his success. This isn’t the best picture but I hope you can see the wide eyes of astonishment. In April I went to Greece with a team of women from our church to put on a retreat for missionary women from around the world. It was an amazing trip, but my picture comes from the six and a half hours spent on the airplane as we flew home. I can’t even remember what airline we were on but, as with most large jets, there was a screen on the seat back in front of us that made it possible to watch movies, tv shows, and check the flight stats (like where we were, how much longer the flight was, etc.) 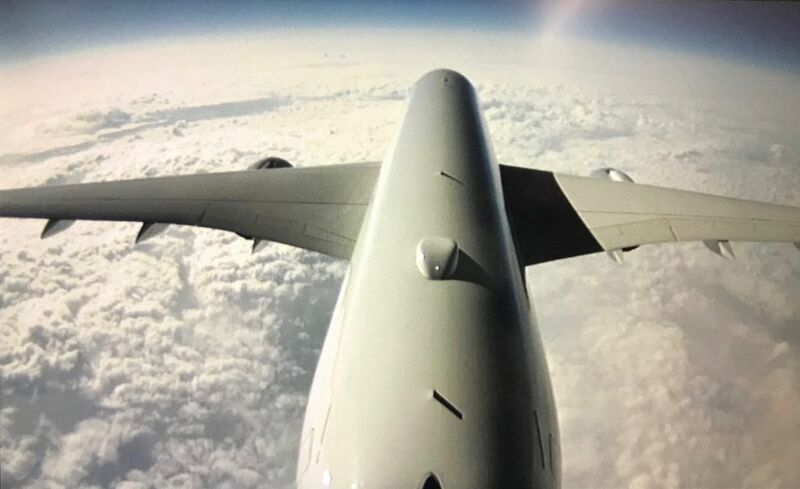 An added feature, which I’ve never seen before, was the ability to look through cameras at what is going on around the outside of the airplane. There is one camera facing straight down to the earth, one facing straight ahead of the airplane from the perspective of the belly, and one facing forward from the tail. It was super cool, as you could watch the take-off and landing, and even see the wheels pulled back up into the plane after take-off. This picture was taken from the tail, obviously. When you need to keep your mind off the number of hours you have to sit in those itty bitty chairs, it’s nice to have a diversion. 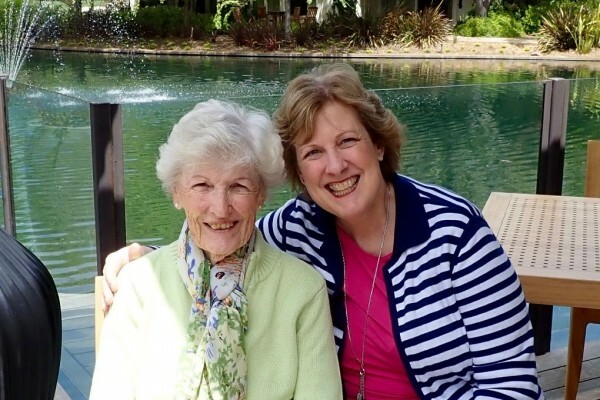 In May I was able to fly to California to spend Mother’s Day with my mom. I count it a huge privilege to be able to spend time with her. This picture was taken at our Mother’s Day brunch. 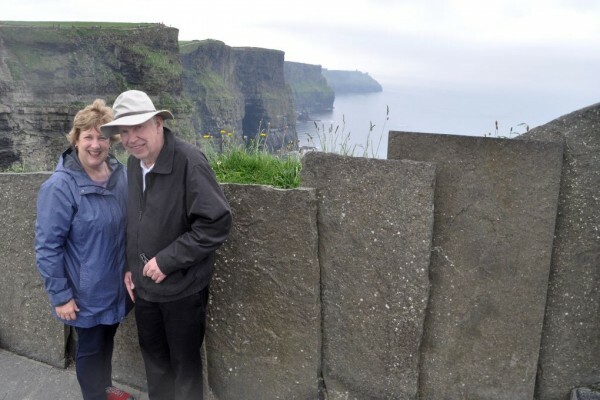 June held the completion of a long-time dream—a trip to Ireland. When I called the travel agent to book the trip I said, “I don’t really care what all we see as long as we visit those cliffs that you always see in movies.” I didn’t even know they were called the Cliffs of Moher! We saw so many amazingly beautiful things in Ireland, that I could post 40 pictures, but I promised, only one per month, so here we are at the Cliffs. It was every bit as wonderful as I’d hoped it would be. In July I went to the Northwestern Christian Writer’s Conference at Northwestern University in St. Paul. It’s such an encouraging conference, and hopefully by this time next year, you’ll be able to see my time there was not wasted. A long-time dream of publishing a book will hopefully happen this year. Stay tuned. Besides encouraging me to get my book out the door, I also enjoyed time on Northwestern University’s beautiful campus. I took this picture at the end of the first day, just before climbing in my car to go home. In August after four days of visiting old friends in southern California, I flew up to central California to visit my mom. John also flew in so we could celebrate our 43rd wedding anniversary together. 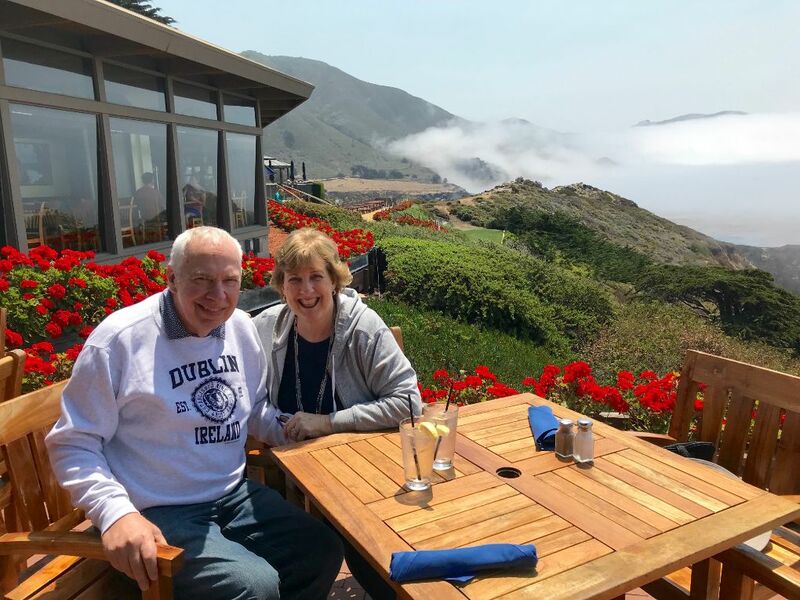 On the day of our anniversary we had lunch at Rocky Point, my favorite restaurant on the Central California Coast. The food is fantastic and the view is even better. 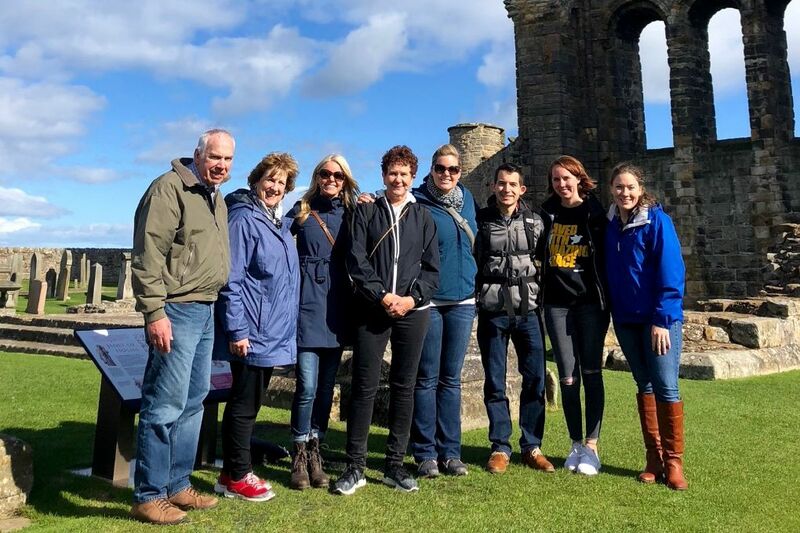 One more overseas trip in September took us to Scotland on a mission trip. 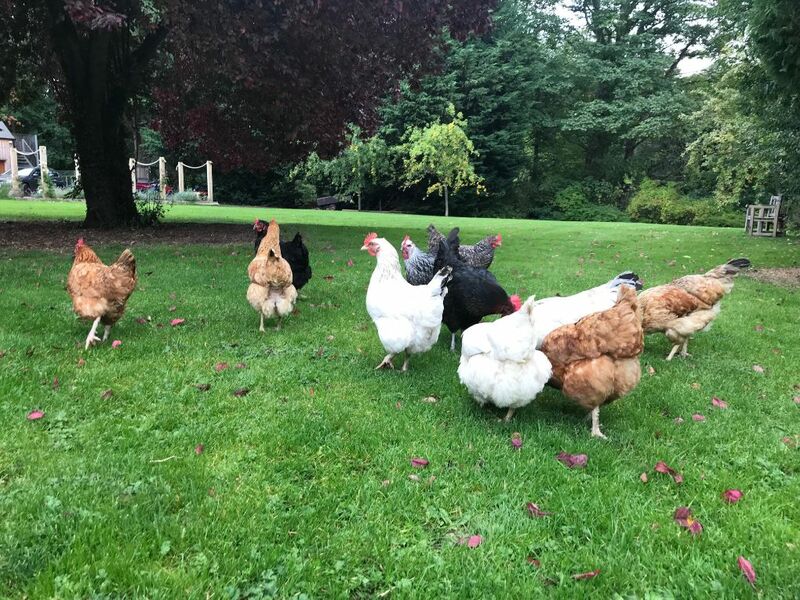 It was such a great trip and I know it sounds crazy but I kind of fell in love with the chickens that lived on the property where we stayed. As soon as we’d walk out the door of the house, the chickens would come running to see us. And they’d follow us around like we were leaving a trail of treats. They’d even come up to the glass door of the house to take a peek inside when they could. It was hysterical. 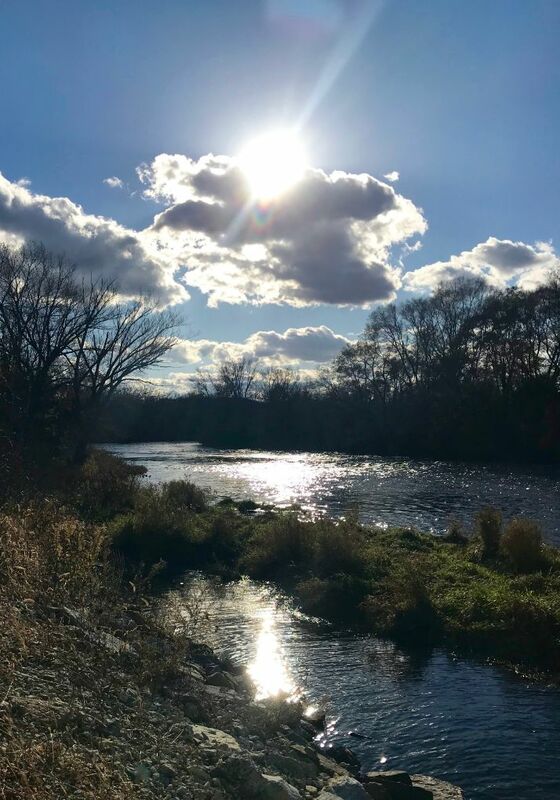 There is a trail along the Cannon River near our house that has been open for at least a couple of years. In October, I finally got a chance to take a walk on it one day. 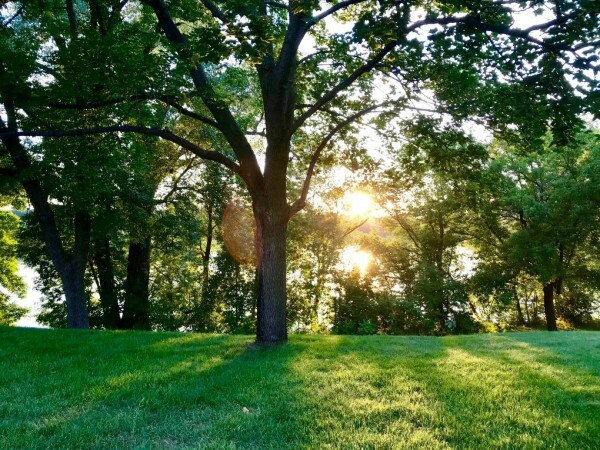 It’s a beautiful area that can only be enjoyed by foot or bicycle. I’ve always wanted to take a picture of this part of the river but never wanted to stand on the bridge along the side of the highway with cars zipping past me at 70 mph. As pretty as it is, I have this innate desire to stay alive! Every November at my oldest granddaughter’s school they have “turkey bingo” the Wednesday afternoon before Thanksgiving. Every child gets to invite a special guest. This was my second year going and it’s always a hoot. The bingo numbers are read by the principal and his assistant via a live feed that is broadcast throughout the building. To take up time while the little ones check their boards for the right square, the principle reads jokes that the students have sent in. Some of them are hysterical but most of them are real groaners. 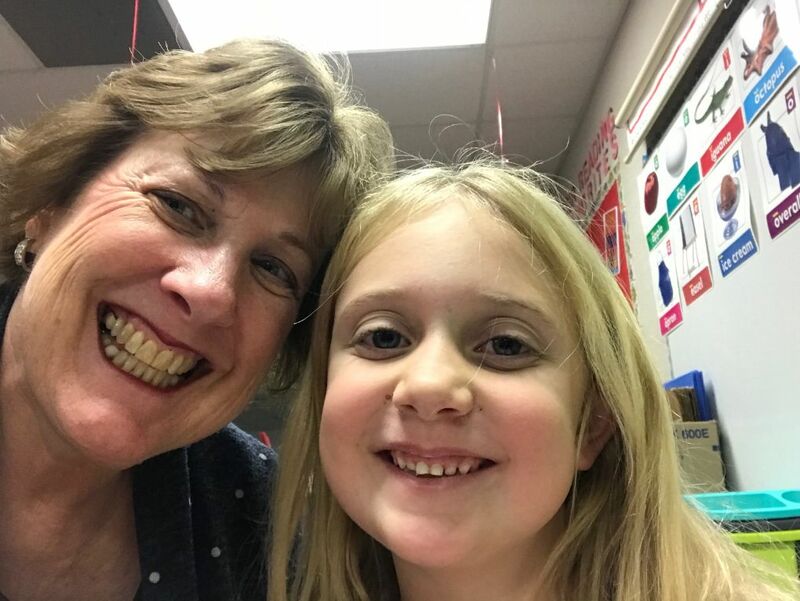 The most special part is the one on one time with my granddaughter. (I hate selfies but it’s the only picture I have of the day.) We celebrated Christmas with our whole family early in December. Having one kid in retail and another working as a pilot has taught us to be flexible. After all the presents were opened, and the kids were starting to get restless, we took them outside to go sledding. 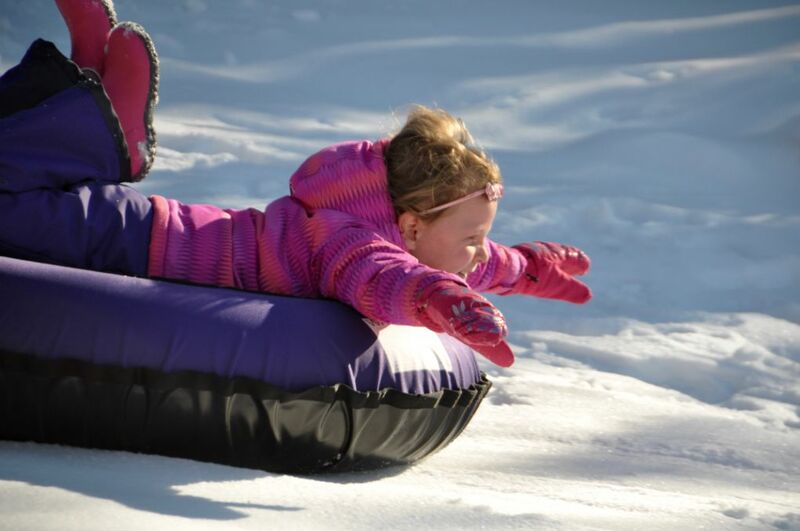 I love this picture of my youngest granddaughter as she flies down the hill in front of our house. She looks like she’s having the time of her life. Oh to be a kid again! 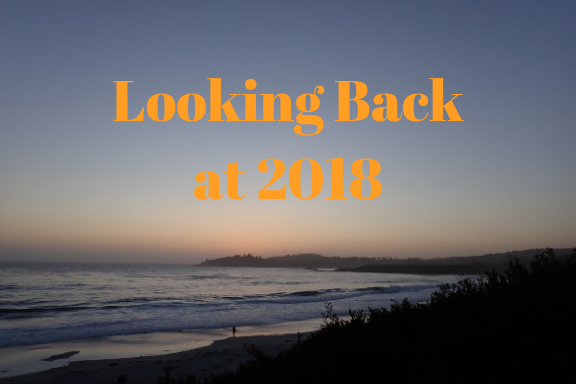 I heard a quote last night at church, “How you end one season of your life is how you’ll start the next.” So, although not every moment was perfect, I end this year with deep gratitude for the amazing life the Lord allows me to have, and enter into 2019 with hope and anticipation that his faithfulness will carry my through another year. Happy New Year, friend! I pray it’s your best year yet! Happy 2019 to you. !! Loved your year in review.???? It was a good year and you are a wonderful daughter! Happy New Year, Lucy Ann! Thanks for reading!